I agree, social media has successfully changed the stance of email marketing but it’s a definite NO if you think it has killed e-mail marketing. Email promotions are very much alive, working, and converting. All you need for lucrative email campaigns is killer ideas to launch a campaign. Most of the digital marketers and social media marketing service providers overlook the potential of email marketing but in the past year, we experimented some strategies without presuming anything and they turned out to be great for our ecommerce clients. Let’s Talk About 3 Ideas Huptech Tried And Tested For Our Email Marketing! There are thousands of ecommerce stores and might be hundreds that precisely fall in line with your selling niche. We studied the email marketing campaigns of the few of our client’s competitors and almost 29% of their subject lines matched ours. It hit us that when businesses are alike, our strategies will overlap. But 29% was a bit much. This encouraged us to give subject lines the importance it deserves. Since then, we are not just creating campaigns blindly. Our team defines the purpose of a campaign, creates a list of 10 subject lines having different flavors such as humor, facts, personalization, etc. and go with the best. Creating subject line takes almost 50% of the time we allot to campaign creation as that is the only thing that’s going to push the customer to open it. This approach definitely gave us what we wanted- decline in overlap with adversaries and more ‘open’ hits by the customers. ‘What’s the purpose of this email marketing campaign?’- We don’t move ahead until this question is answered in the form of a goal in KPIs. After we have a definite objective for a campaign, we make sure that the ‘call to action’ is highlighted the most, not in an obvious way, of course, but in some way. We make sure our emails are extremely crisp with no verbiage or image dump that are the prime reasons for frustration build-up in customers. All our subscription templates ask for the customer’s first name to use it later in our marketing campaigns for developing a personal aura in these digitally conveyed messages. With the help of analytics, we refine the subscribers on several factors each month and make sure to send a personal note from the director that aligns with their shopping pattern. For instance, one of our clients belongs to the supplement industry. We characterized the customers on the basis of their choice of concentration of the product. The more is the concentration, the sicker is the customer. We created compassionate emails for these users, motivating them to go on, and for those who are shopping marginally concentrated products, we composed a campaign where the director stressed on how they can always use the other products and in which conditions. This is just an instance, there are many other aspects which drives our personalization agenda such as loyalty, frequency, etc. To drive more conversions and click-through rates from the email marketing campaigns, we not always need an out of the box approach but a simpler, on-point approach. All businesses must keep a close eye on their monetary investments on these marketing efforts and hire the best local SEO company for result-driven efforts. 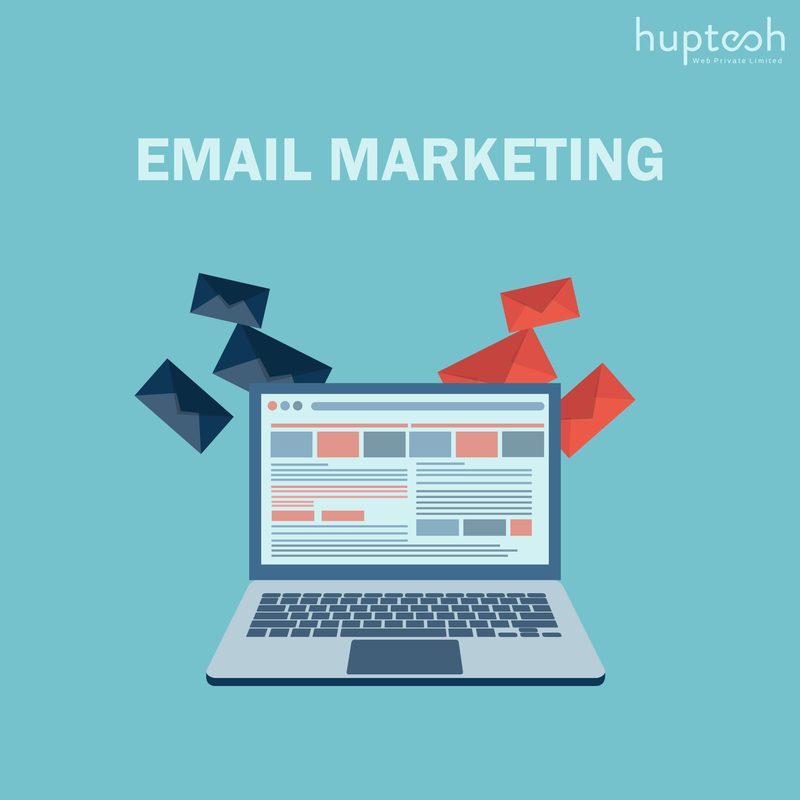 Huptech has been doing great as a digital marketing and SMO services company and can always assist you in nailing email interactions with your customers!